It’s Responsible Business Week (31 March-4 April) this week, an annual opportunity for businesses of all sizes to share new ideas and do more to tackle environmental and societal challenges. 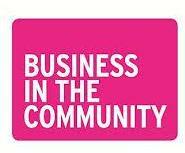 Organised by the charity Business in the Community, in partnership with Veolia Environment, businesses in the south west are being encouraged to use Responsible Business Week to proudly shout about the importance of being a responsible business to a range of different audiences. A number of activities are taking place across the region, including a special event on April 2 at the Davidstow Creamery in Camelford, where Dairy Crest CEO, Mark Allen, will discuss Dairy Crest’s Responsible Business Journey.